Digital Dash comes complete with direct fit printed circuit board, custom fit "smoked" Plexiglas face plate, universal temperature sending unit, oil pressure sending unit, and speedometer GM style sender for trucks without electronic transmission or cruise control, and instructions. Unit works with your factory fuel level sending unit and cruise control sender or electronic transmission output if so equipped. Directly fits into your existing housing but you will need to run some new wires to the speedometer sensor. Tachometer (0-9,900 RPM in 100 RPM increments). Water Temperature display with 100-300 °F range (Sender S8013 included). Oil Pressure display with 0-100 PSI range. Oil pressure sender included. 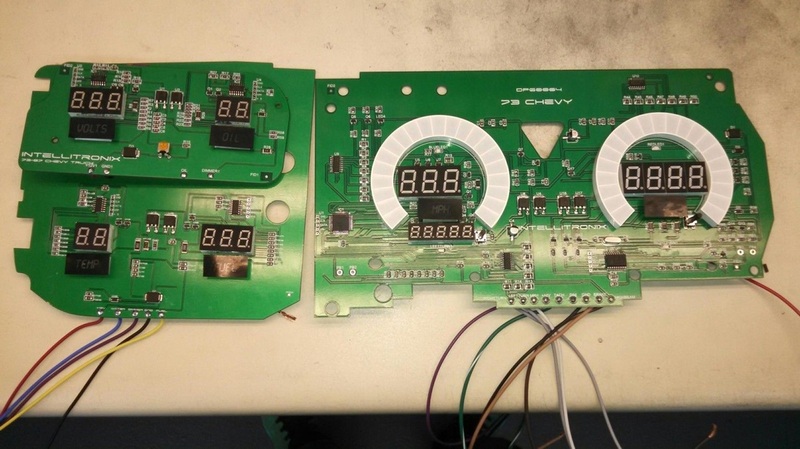 Voltmeter display with 7.0-25.5 volt range (no sending unit required). Fuel Level display with 0-99% range in 1% increments (works with existing GM fuel level sending unit). DP4006 features turn signals and high beam indicator. 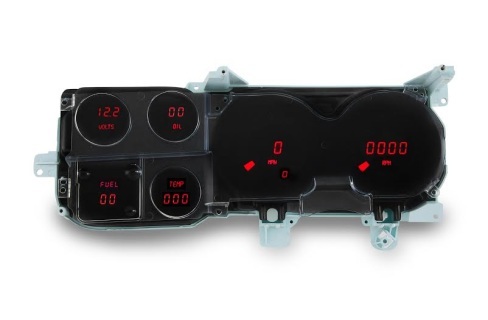 Can be used with electronic cruise control senders or use included S9013 (universal speedometer sending unit) if your vehicle is not equipped with a functional cruise control.